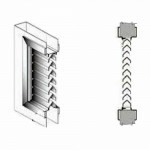 VLV1212 Cal-Royal Inverted Y Blade Louvers, Steel, 90 Min. 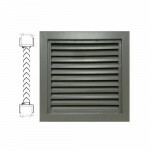 Fire Rated Color: Standard Bronze D..
VLV1218 Cal-Royal Inverted Y Blade Louvers, Steel, 90 Min. Fire Rated Color: Standard Bronze D..
VLV1224 Cal-Royal Inverted Y Blade Louvers, Steel, 90 Min. Fire Rated Color: Standard Bronze D..
VLV1812 Cal-Royal Inverted Y Blade Louvers, Steel, 90 Min. Fire Rated Color: Standard Bronze D..
VLV1818 Cal-Royal Inverted Y Blade Louvers, Steel Color: Standard Bronze Dimensions: 18" X 18"..
VLV1824 Cal-Royal Inverted Y Blade Louvers, Steel Color: Standard Bronze Dimensions: 18" X 24"..
VLV1860 Cal-Royal Inverted Y Blade Louvers, Steel Color: Standard Bronze Dimensions: 18" X 60"..
VLV1864 Cal-Royal Inverted Y Blade Louvers, Steel Color: Standard Bronze Dimensions: 18" X 64"..
VLV2010 Cal-Royal Inverted Y Blade Louvers, Steel, 90 Min. Fire Rated Color: Standard Bronze D..
VLV2412 Cal-Royal Inverted Y Blade Louvers, Steel, 90 Min. Fire Rated Color: Standard Bronze D..
VLV2418 Cal-Royal Inverted Y Blade Louvers, Steel Cal-Royal VLV Information Color: Standard ..
VLV2424 Cal-Royal Inverted Y Blade Louvers, Steel Color: Standard Bronze Dimensions: 24" X 24"..